Long a tourist destination for beach-lovers, Dieppe is a cosy city with a long history and rich heritage. 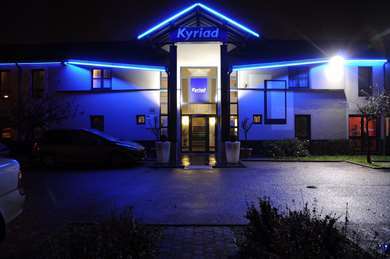 Discover this wonderful place and its surroundings with Kyriad hotels. Located on the north-western coast of the French Hexagon, Dieppe is a small town in the Seine-Maritime department of the Upper Normandy region. This long-standing port has a population of about 35,000, and has been a popular tourist destination since the early 1800s. Dieppe’s past has been shaped by its strategic location on the coast, facing the English Channel. The city, along with the rest of Normandy, became part of France in 1204. Dieppe benefited greatly from the commercial activity stimulated by its port, and many of its local ship owners became wealthy. By the 17th century, its port had become one of the busiest in all of France. In 1694, Dieppe was levelled by an Anglo-Dutch fleet. Louis XIV oversaw its reconstruction, creating the National Square, 10 minutes from the Kyriad Dieppe Hotel. During WWII, Dieppe was occupied by German forces, before being liberated by Canadian troops.